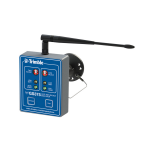 The Trimble GS026 Wind Speed sensor introduces a user-focused and cost-effective design for applications requiring a wireless wind speed unit. Whether the application is residential, commercial, marine or heavy industrial, the GS026 offers the best value for the money based on features, functionality and radio performance. 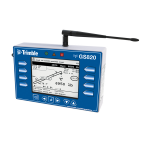 Designed to be paired with the Trimble GS320 Stand Alone Display for wind speed only application, or with the Trimble GS550 RCI as part of a complete crane system. Users can expect up to 3 years of battery life under normal operation. If wind speed was monitored continuously 24 hours a day / 7 days a week, users could expect 20 months of battery life from one “D” cell lithium battery. The wind speed sensing element has no moving parts. 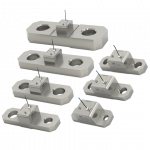 The wind cup head assembly has 2 embedded magnets that pass by a reed switch in the wind speed body as the wind speed head assembly turns, producing an accurate wind value. 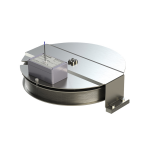 The GS026 Wind Speed Sensor pivots on its steel mounting bracket, useful in applications where the structure it is mounted on moves up and down, such as with cranes or other lifting equipment. 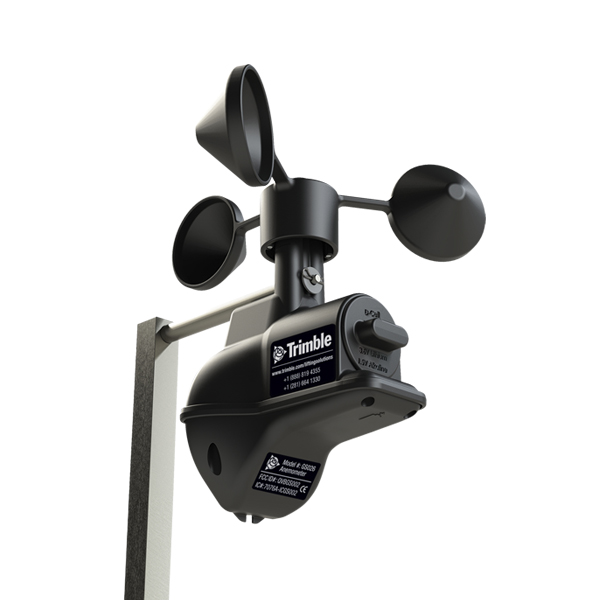 This keeps the wind cups perpendicular to the wind, the ideal angle to accurately measure the wind speed.